Part 2 contains shirt with long and short sleeves. 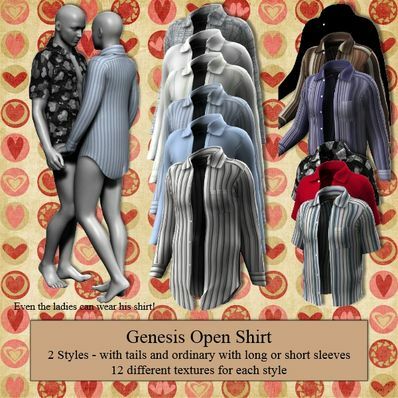 Two styles - shirt with tail, and oridanry shirt with long or short sleeves. Several textures included. These open shirts are great! Thank you.